Come experience our CellarBrations and Luxury Liquors! Also displaying original oil paintings from nationally recognized local artists Joseph and Rita Orr. Now Open Tuesday through Saturday, 4:30pm for Cocktails & 5pm for Dinner! Call ​(573) 348-DINE ​for gift certificates! Jeffrey's welcomes the Porsche Parade! 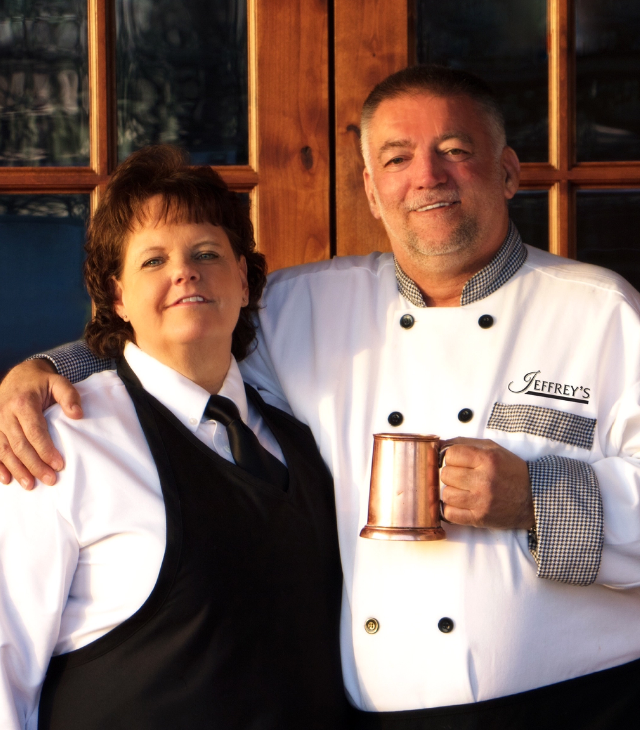 Two smiling faces synonymous with fine dining at the lake were back on the scene again when Jeff Super and Mary Jung opened Jeffrey's Prime Rib and Lobster the spring of 2017.